A military plane carrying the mortal remains of the CRPF men killed in a terror attack in Pulwama arrived on Friday evening, officials said. The bodies were received by Home Minister Rajnath Singh and senior officials of the CRPF at the Palam Technical area, they said. 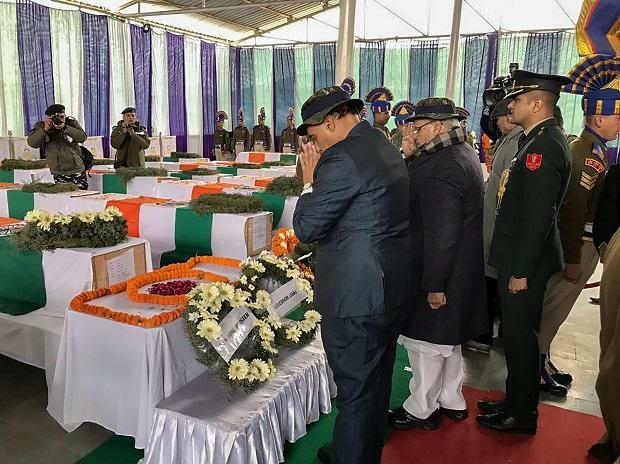 Prime Minister Narendra Modi, Congress president Rahul Gandhi and Delhi Chief Minister Arvind Kejriwal are among those likely to pay their last respects to the CRPF personnel at the airport. Forty CRPF personnel were killed and five injured on Thursday in one of the deadliest terror attacks in Jammu and Kashmir. A Jaish-e-Mohammad suicide bomber rammed a vehicle carrying over 100 kg of explosives into their bus in Pulwama district.